Painting a room can be one of the simplest and quickest ways to brighten up your home, although it can turn into a nightmare if you don’t know what you’re doing. Painting is a home improvement task that many people undertake every year. The main skill needed for painting a room is a lot of patience, especially if you want to achieve that professional quality. Getting a perfect finish starts at the beginning. If your surface isn’t completely clean and smooth then you won’t end up with the results you want. Each crack, hole and dent will need to be filled before the whole wall is sanded down. This might not seem like the most fun part of painting, but it is the most important. If you don’t get the walls to a perfect condition then it will end up ruining the end results. Primer has three main purposes: block stains from bleeding through, allow a one coat-coverage for the paint, and improves paint adhesion (reduces blisters and peeling). Many professional painters will add a small amount of topcoat paint into the primer. This enhances the ability of the topcoat to hide the primed surface completely. It is better to mix the topcoat into the primer rather than buy paint that contains a primer. This paint won’t cover the surface or improve adhesion as much as a primer. 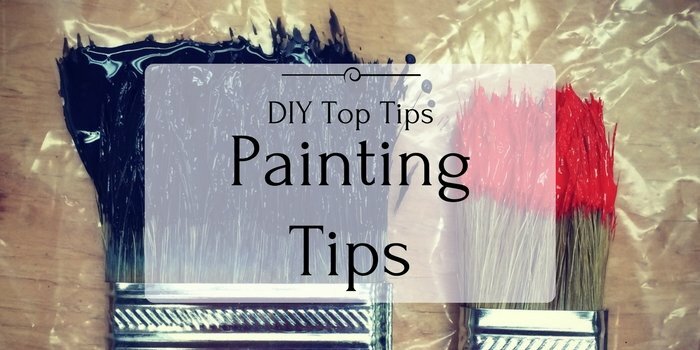 A lot of the time you will need to wait for certain areas to dry before you can continue painting, or sometimes you will just run out of time in the day to carry on painting. Instead of cleaning your brushes every time you finish, simply wrap them up in some Clingfilm, ensuring that no air can get to the bristles, and store in the refrigerator overnight. When you are ready to paint again, take the brushes out of the refrigerator 30 minutes before you start painting. This can be done several times and with paint rollers as well as paintbrushes. Before you begin painting, think about the order you should work in. It is best to start with the skirting board (if it needs painting), then moving onto the ceiling, then painting the walls last. Skirting boards and ceilings are easier than walls to tape up, which is why they should be painted first. When it comes to painting the walls it is important to tape up the skirting board, ceiling and also any plug sockets on the wall. This must be done once all the paint is fully dry (usually takes about 24 hours) as so not to damage the paintwork when you peel the tape off. Painting is a task that is usually done every now and then as a refresh, so not many people will keep their painting equipment in their home. Painting equipment can also take up a lot of room in your home, with ladders, brushes, rollers and much more, which is why storing them away in a storage unit is a useful idea.